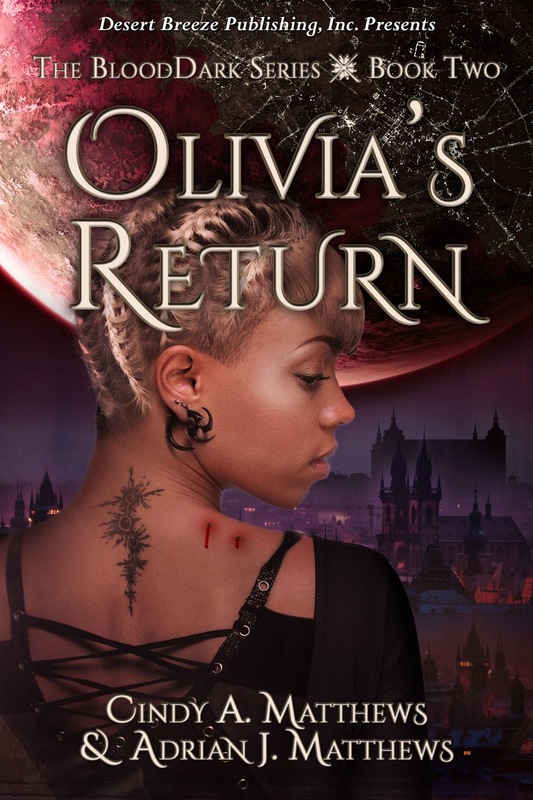 The World of BloodDark: The Top 5 Reasons to Read Science Fiction Adventure Stories! 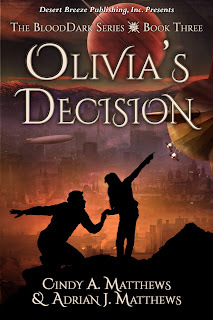 The Top 5 Reasons to Read Science Fiction Adventure Stories! This piece ran a while back at Night Owl Reviews. We thought we'd share it here at our page as well. Please feel free to share these reasons with your friends and family who ask you why you read science fiction. 1. People who read science fiction adventure are generally pretty smart people. Readers who love science fiction aren't your average run-of-mill readers. They're savvy and sophisticated. They know the difference between a light saber and light speed. 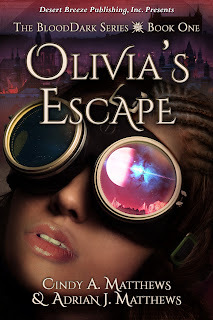 They enjoy reading about smart characters such as Olivia and Hernando in our Olivia's Escape trilogy (which also includes Olivia's Return, and Olivia's Decision). Sci-fi readers don't enjoy air-head characters who can't figure out how to tie their shoelaces. 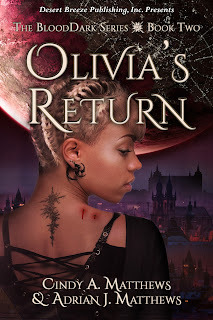 They like heroines like Olivia, a young woman who helps lead a rebellion against an enslaving race of vampiric aliens. She really knows how to kick you-know-what! 2. You can hang out at cool sci-fi conventions and meet up with other smart people. Since you enjoy reading about smart people, you'll enjoy hanging out with other smart people and discussing the smart characters you all enjoy. You'll enjoy discussing intelligent and beautiful airship captains such as Adena from Fire on the Sands. Dressing like Adena in a steampunk-themed cosplay outfit--complete with her sentient mechanical parrot--is a lot of fun, too. 3. Technology is changing our culture faster than many might think, and you want to keep on top of things. Science fiction opens your mind to new possibilities. What is fiction today will become fact tomorrow. Science fiction authors have predicted inventions such as cell phones and satellites long before they actually happened. Readers of science fiction adventure tend to keep an open mind about how the technology will influence the world of tomorrow, and they're ready for the changes we'll see. Who knows? You might be one of the first humans to transport to an alien world through a device such as the Portal described in our BloodDark series. Read more sci-fi and be prepared! 4. Science fiction is a different and evocative way of exploring current social issues in a safe place. 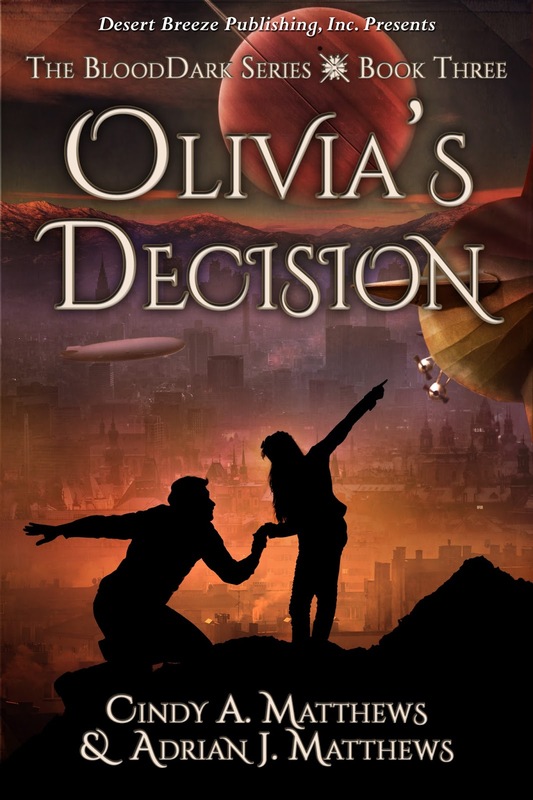 Same as with technology, science fiction adventure provides a mental challenge to readers to consider the "what if…" in our world. What if one small thing changed in your life--how would you change? 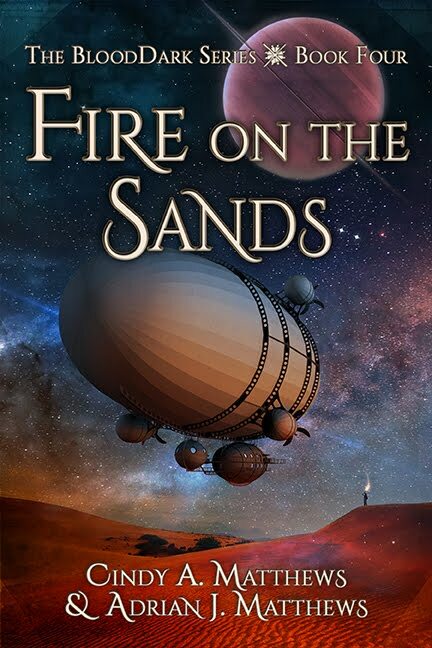 What if you were suddenly abducted by aliens and transported to a world that's permanently night on one side and forced into slavery, such as Olivia in Olivia's Escape and Greg in Fire on the Sands are? Would it bring attention to issues of injustices that humans are currently dealing with on Earth right now? Would it expand your thinking to how we could make our planet a better place for all? 5. Everyday life is just way too boring. You crave adventure! Perhaps this is the best reason of all to read science fiction adventure--who doesn't want to see the other side of the galaxy and experience fantastical escapades? It's definitely more exciting than walking the dog or doing housework. Spending a few hours on another world and experiencing adventure through an intriguing character's viewpoint (such as Olivia's or Greg's) is sure-fire cure for boredom. Be sure to check out the BloodDark series of books today!